I was called to Christian Counseling to share the good news of total and complete healing that can only be found in Jesus Christ. I am trained in Prepare and Enrich and Gottman Relationship Skills. However, nothing cements couples together than the love of God. Equally so with individual counseling, there is nothing too difficult, even anxiety, depression or trauma that Scripture and prayer cannot resolve. You can be certain to find my counseling to be Christ-Centered, Biblically-Based and Faith-Oriented. Would you like to write a review for Phyllis McColister-Cunningham? 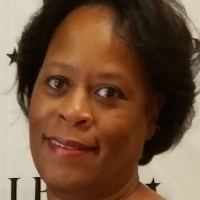 We'd appreciate if you can spend a couple of minutes to write a short review for Phyllis McColister-Cunningham (MS, LMHC, CAP). This review would be shared with Phyllis McColister-Cunningham. It may also be posted in our website or in Phyllis McColister-Cunningham's profile but it would be anonymous and your identity would be kept completely confidential.